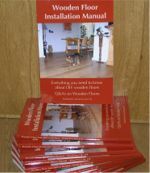 As the acknowledged authority on wooden flooring, many architects, interior designers and property developers, nationally and locally, frequently call 'Wood You Like' for advice on choice and suitability of different wooden flooring and advice on the fitting and maintenance (they see us as The National Helpline for wooden flooring). You can also feel free to contact us: our advice and help is only a phone call or email away. We will advice you freely on a one-to-one base, discuss the most suitable floor for your circumstances, interior design specifications and budget. No matter if you want us to install our quality wood flooring for you or you want to install the flooring yourself (or your builder): just tell us the measurements of the area you plan to have natural wooden flooring installed in and we will give you an accurate best price specified quotation on the spot (with no obligations whatsoever). are at the top of the list. Karin will welcome you when you call or email us, discuss the floor, wood and finish types that are suitable for your situation and will answer any of your enquiries and questions. Ton is responsible for our quality control, professional practical advice - mediation - with Design Parquet as his specialty. Both directors originate from the historical (medieval) town of Bergen op Zoom in the South-West of The Netherlands close to the Belgium border. It's a traditional town filled with many historical buildings and treasures many historical traditions. Bruynzeel flooring was founded beginning 1900, and another parquet factory in the early 60’s: Inpa parket, still going strong. The Bruynzeel factory closed down in the late 70’s, making many professionals redundant. A whole other type of industry was born: traditional wooden flooring retail shops and professional - independent - installers. Both Ton and Karin have learned the ins and outs of the wooden flooring business from the most respected professionals there, including apprenticeship in installing design parquet floors. Beginning 2000 they were employed by a new Dutch company that had plans to get a strong foothold in the domestic UK wood flooring market. However only two (rather large) retail showrooms were ever opened and within 3 years the mother company decided to close both shops and focus their attention solely on the wholesale market. After being made redundant and strengthened by the ongoing support of their existing clients and business advisors Ton and Karin decided to 'go-it-alone' and launched Wood You Like Ltd. First from their home-office until in August 2005 the showroom in the lovely village of Charing opened and the company continued to grow from strength to strength. In our showroom we not only welcomed many clients from the Kent area, natural wooden flooring fans from London and beyond looking for quality products and quality advice found their easy way to Charing village near Ashford. In Aug 2012 - based on the number of sales generated online - it was decided to turn Wood You Like Ltd into a true "one-stop-online-shop" and the showroom was closed. Time after time you will find special products and services at our company, special in the way the product is constructed or proven its quality and method. We will discuss these construction and installation/restoration methods with you if needed. Even standard products, like Solid floorboards, are treated as special, we know why a 180mm wide board only 15mm thick will cause problems and how wide is wide enough to prevent problems.